Very few people know the history of Arizona's Apache. Most think Geronimo was the chief of the few Apaches who eludeded 25% of the entire U.S. Army for so long. However, Niache, Coche's son, was chief and Geronimo was his General. Cochise had two sons- Tasia and Niache. Tasia was a white man's police while Niache was a rebel reegade. 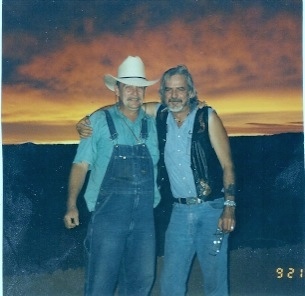 My pardner and friend and I had a trading post in Illinois in the early 1990s called "Spirit Horse Trading." This is where we found Tasia's Bonnet. Ed Toth delivered the Bonnet to Mildred Kleg Horn, chief of the Apaches at the time, at Ft. Sill, Oklahoma. It is still there on display. Because of lawsuits, Ed took his life shorty after. He was a great man is missed dearly. © 2005-2010 EMOL.org Entertainment Magazine. All rights reserved.